At Imagination Play, we understand our environmental responsibility to the world and the future of our children. 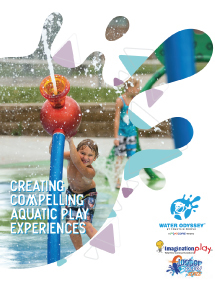 Over the years we have been driven to provide affordable water play experiences, interactive entertainment, and architectural accents through water play features. Imagination Play provides their customers alternative ways to reduce, renew, and reuse, so they can have the opportunity to reduce their carbon footprint on the planet and embrace water conservation. As a supplier in Australia and Oceania, we can only expect the same from ourselves. That’s why we strive to lead by example in the ever-changing water play market though our products, and everyday business tasks. All specialized water play feature equipment is manufactured from either recycled or recyclable materials. Stainless steel components used in our water play products are approximately 82% combined post consumer and post industrial recycled. Bronze, brass and copper water play components are approximately 89% combined post consumer and post industrial recycled. Water play pumps are selected locally in Australia for optimal efficiency and minimum electrical energy consumption for this specific design concept. Specialized water play pump controls are specified to minimize electrical consumption in changing environments. Specialized lighting controls are specified to minimize electrical consumption efficiently. Specialized water level controls prevent the waste water from over-filling. Protective system functions prolong the life of water pumps. No powder-coated products are used, as that process inhibits recycling processes of course. All adhesives, sealants and product coatings are volatile organic compound (VOC) free except for a small amount of epoxy resin sealant that is used for underground water play applications. Printing is done with Sustainable Forest Initiative (SFI) certified paper. Rainwater is collected for use on the corporate campus landscape and supplemental test pool areas. Have any more questions, feel free to contact us.